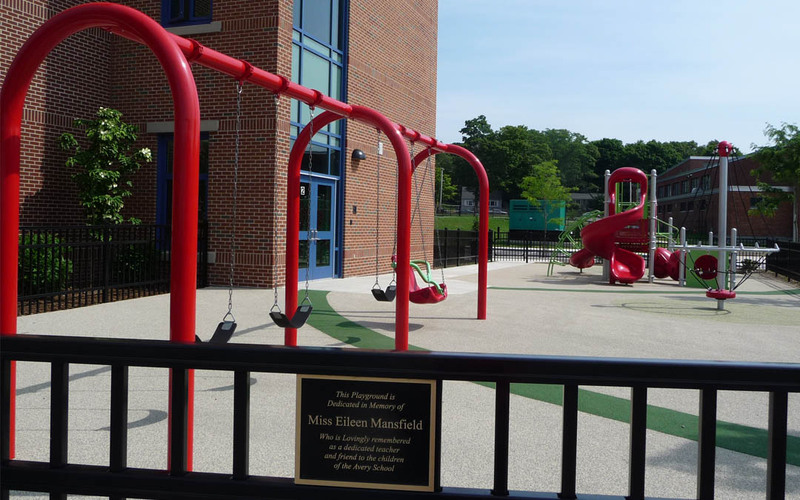 The Avery Elementary School is the first certified LEED Platinum elementary school in Massachusetts and attaining high site specific LEED goals such as non-roof heat island reduction was prioritized. 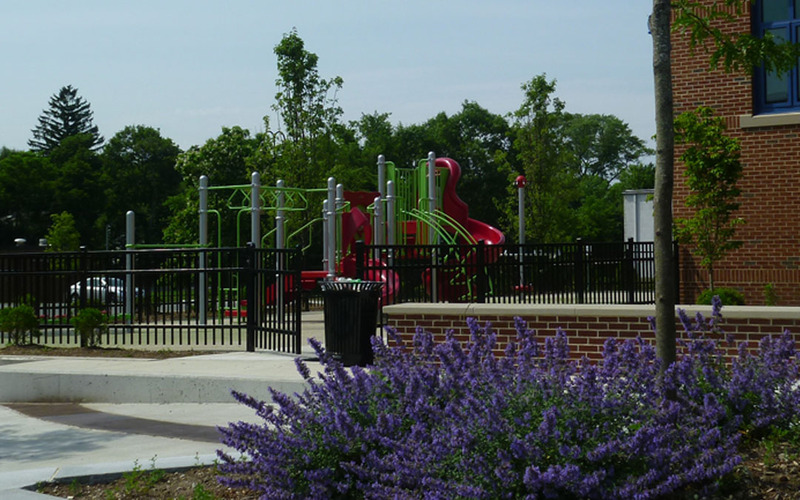 Solar reflectance restrictions on pavements and intense tree plantings were accommodated to help achieve this credit. Bicycle storage and routes to the neighborhood transportation network were provided. 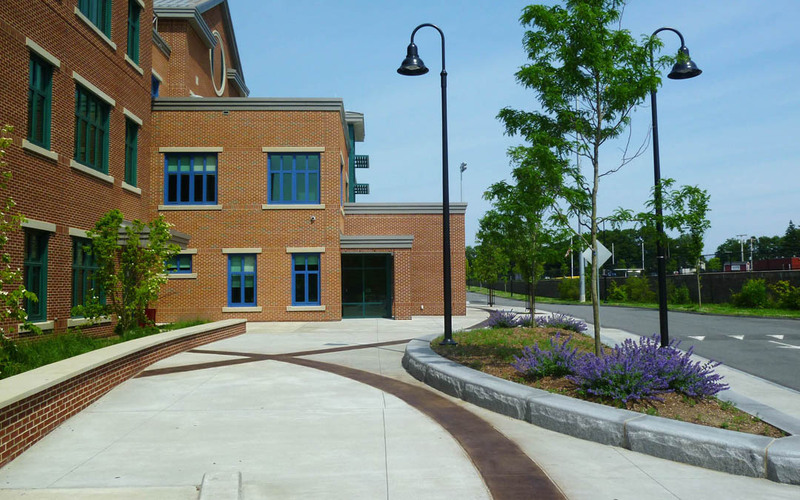 A unique outdoor learning area and bioretention rain garden were incorporated into the design. 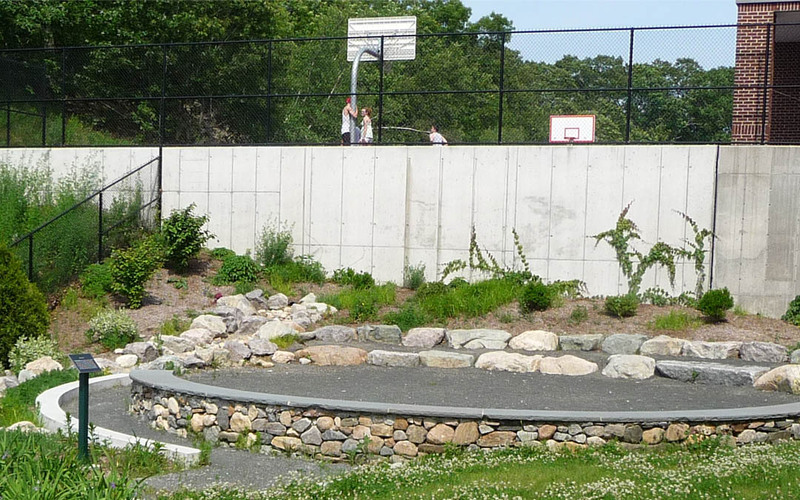 A stormwater outlet carrying flow from the sports field trench drains feeds into a stone swale which leads to the rain garden area. Educational signage conveys the benefits of stormwater capture and infiltration in a bio-plant habitat. 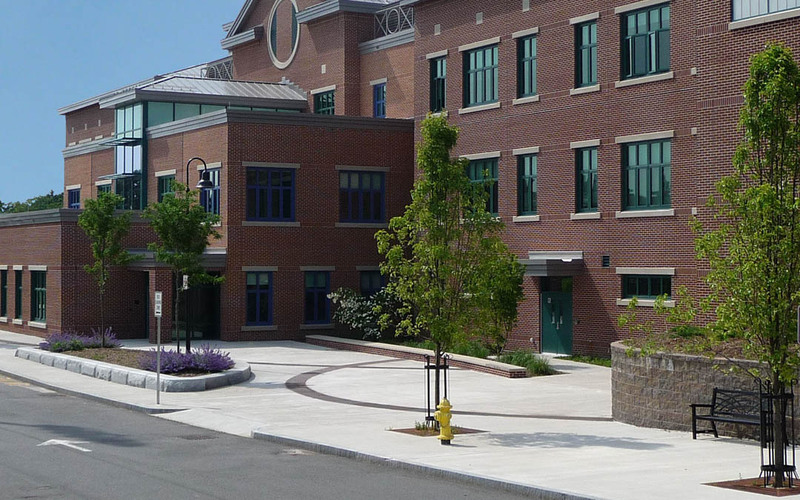 The physical constraints of the proposed school site and the town acquisition of an old rail easement provided a unique site planning opportunity to rethink and recreate the campuses pedestrian and vehicular connections. Creative use of elevation change with walls and stairs were necessary to fit all the pieces together to create a safe and accessible campus.